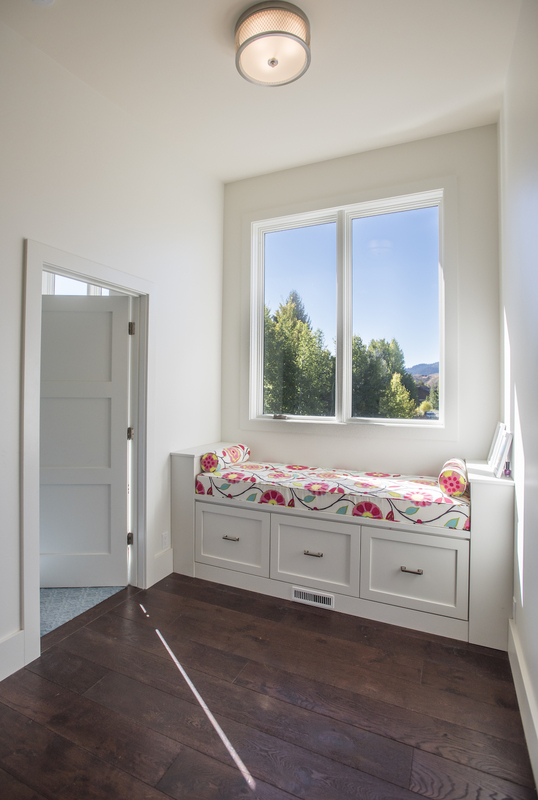 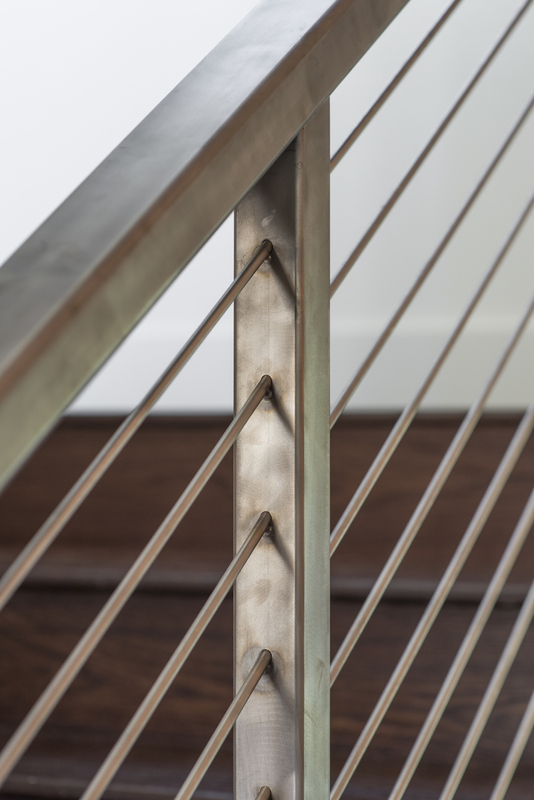 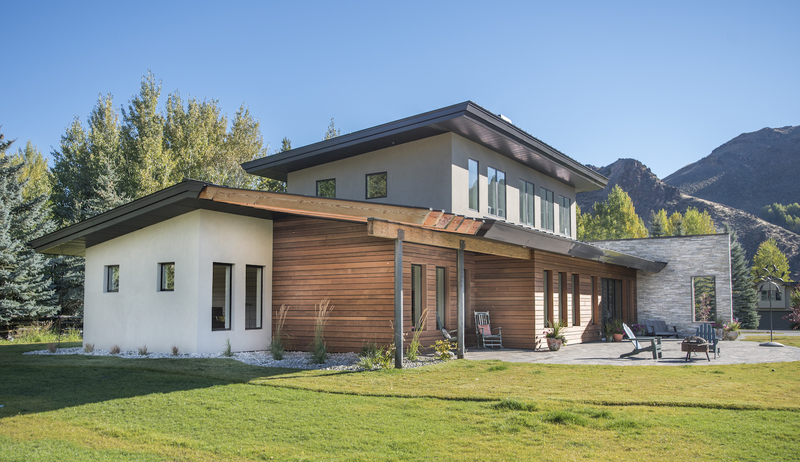 A private residence in Hulen Meadows in Ketchum, Idaho. 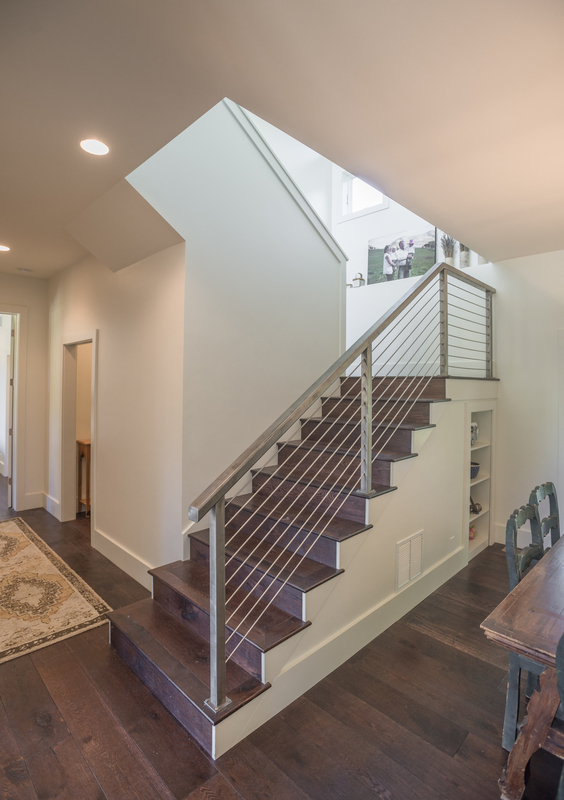 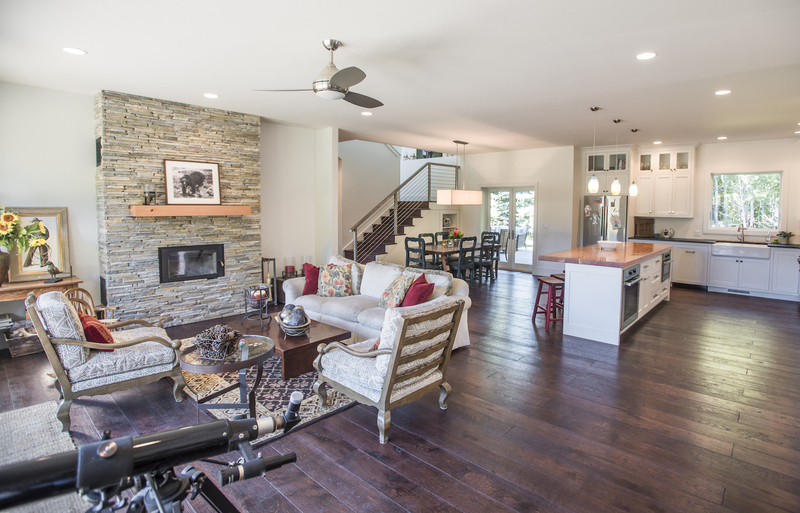 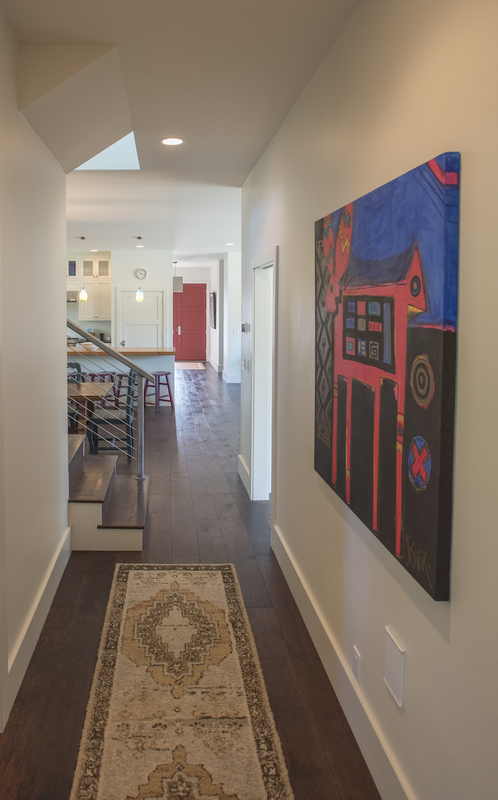 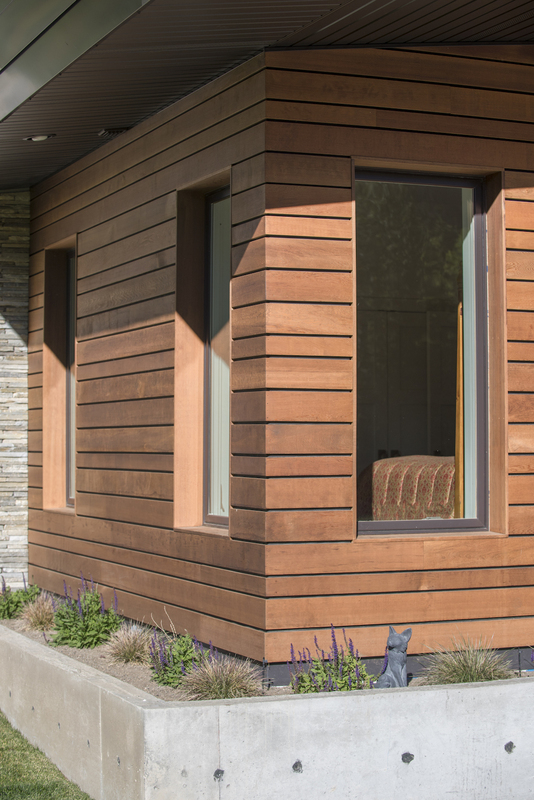 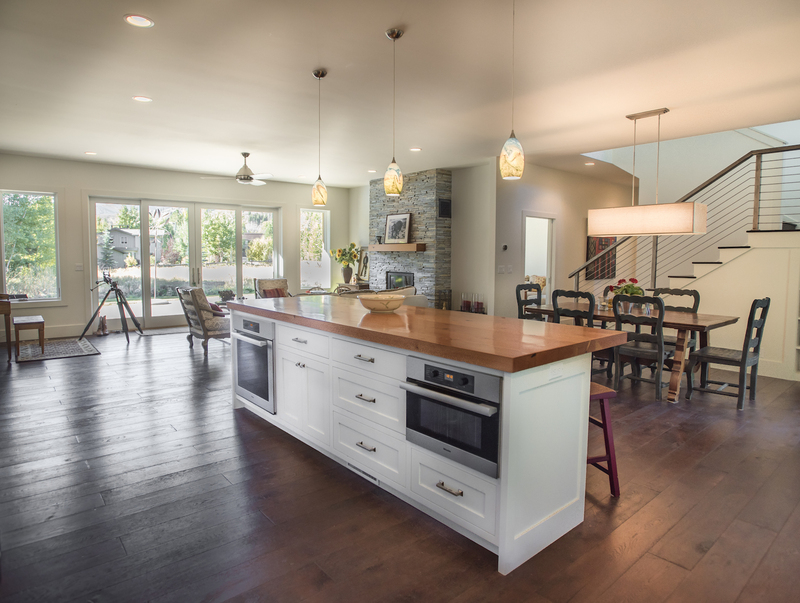 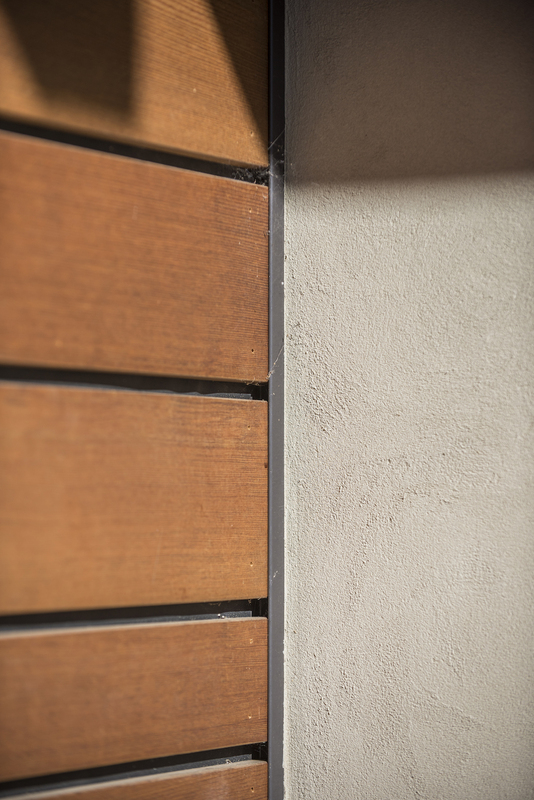 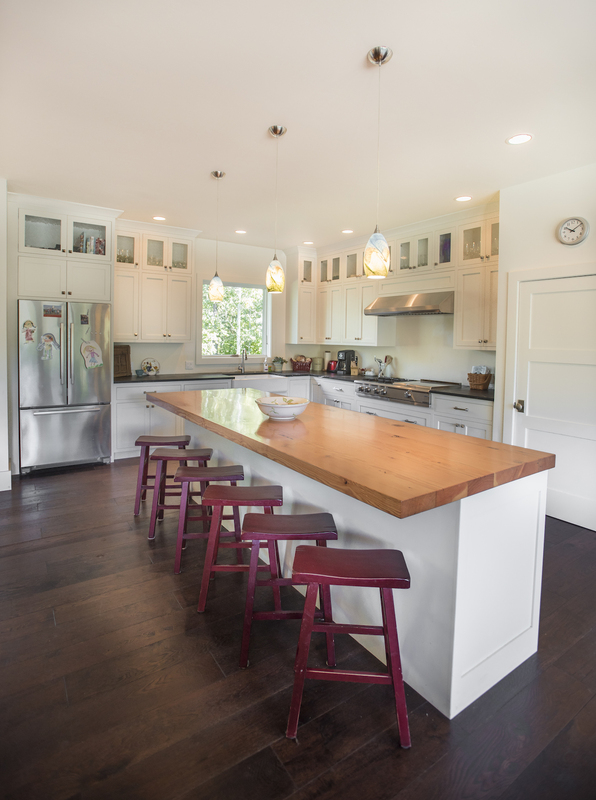 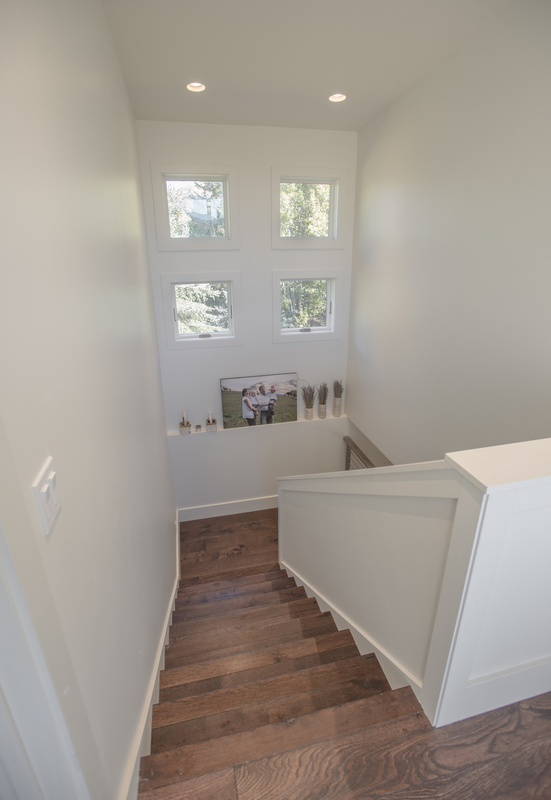 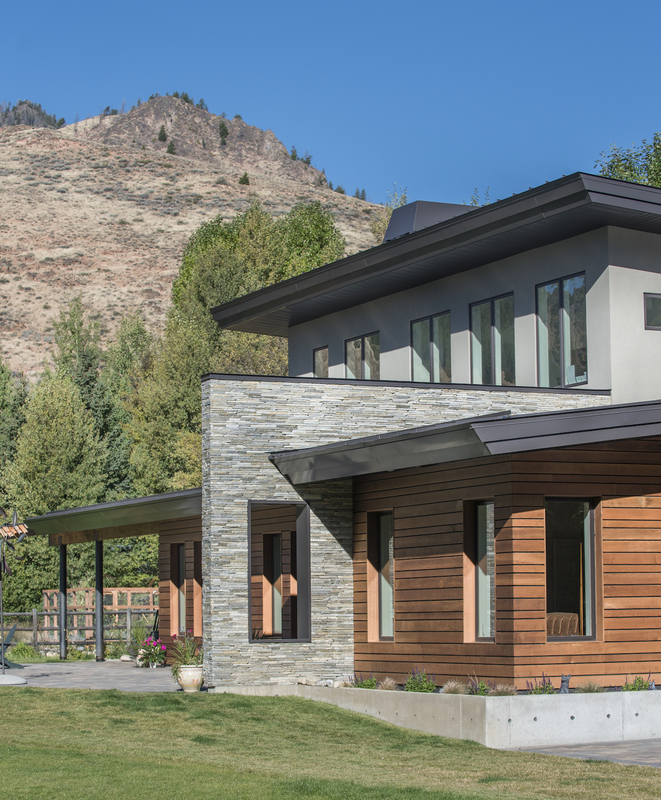 This home is passive solar and built with Insulated Concrete Forms (ICF) which makes for a very tight, energy efficient, sound and fire resistant home. 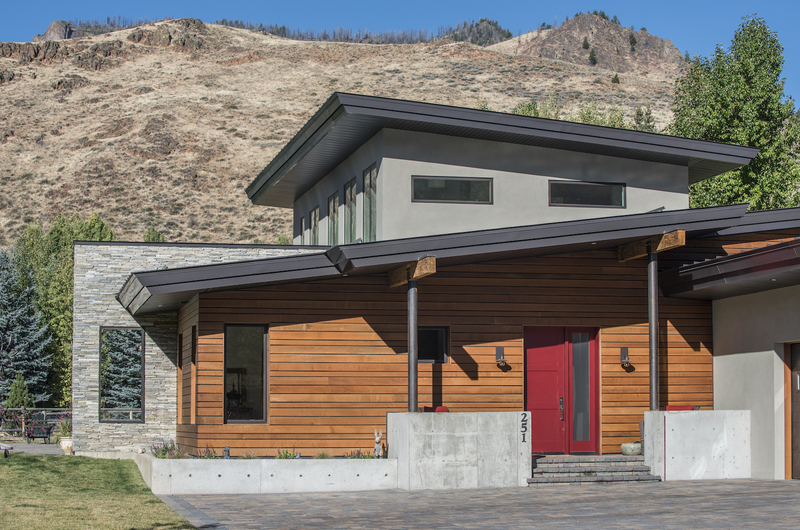 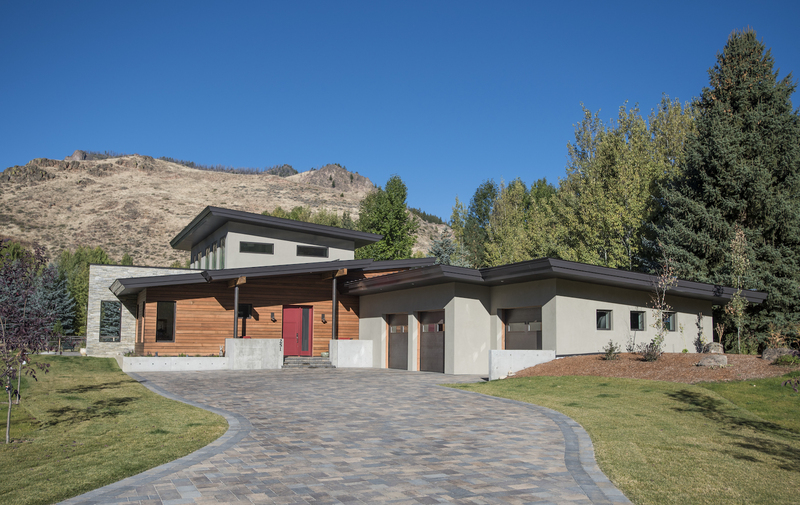 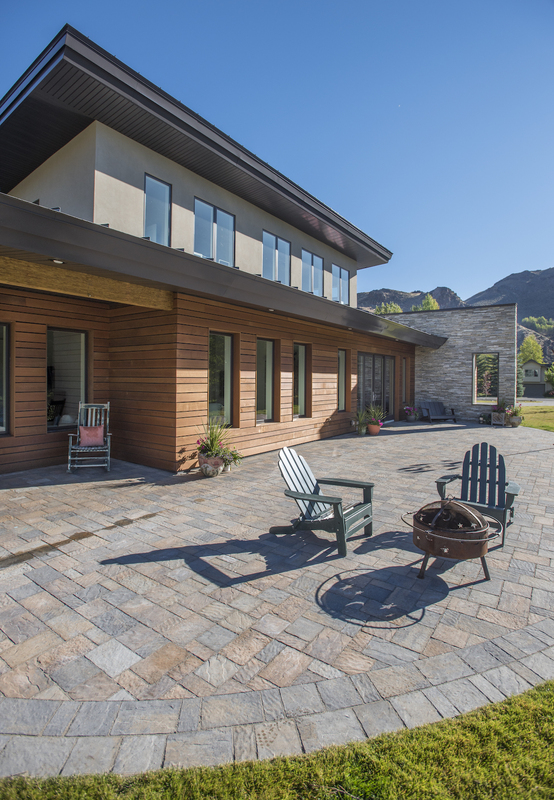 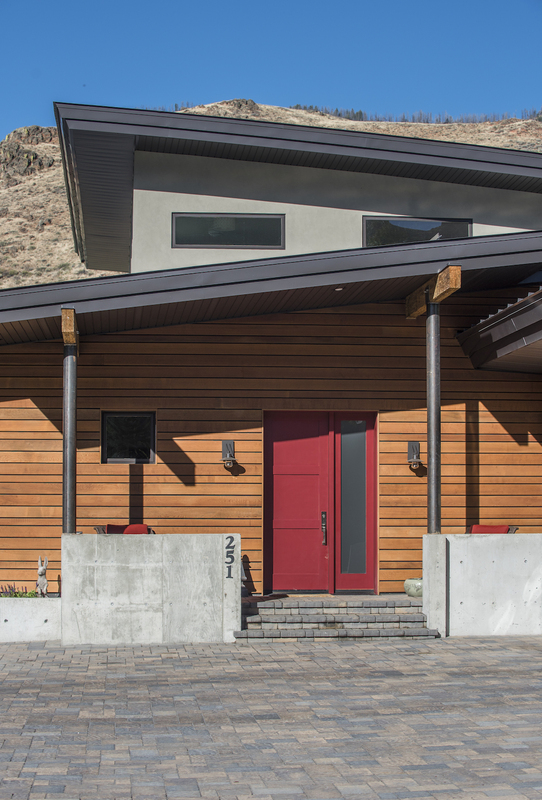 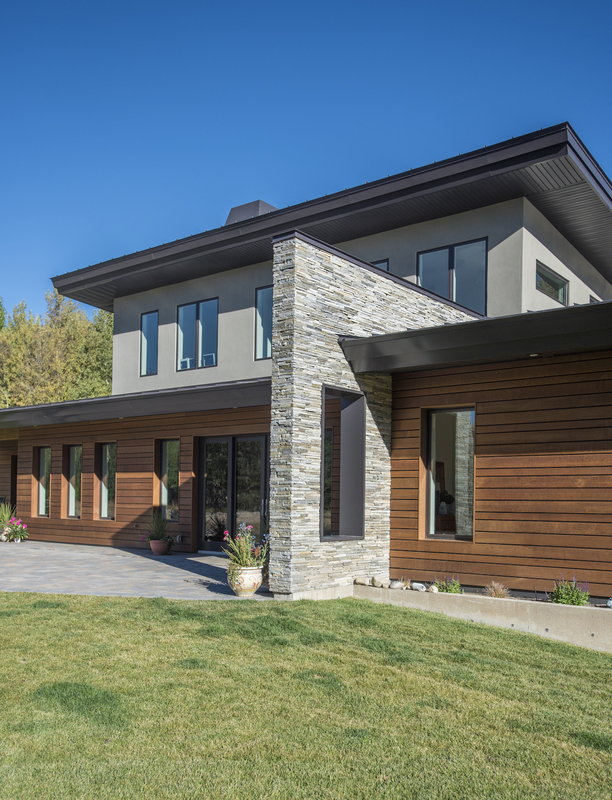 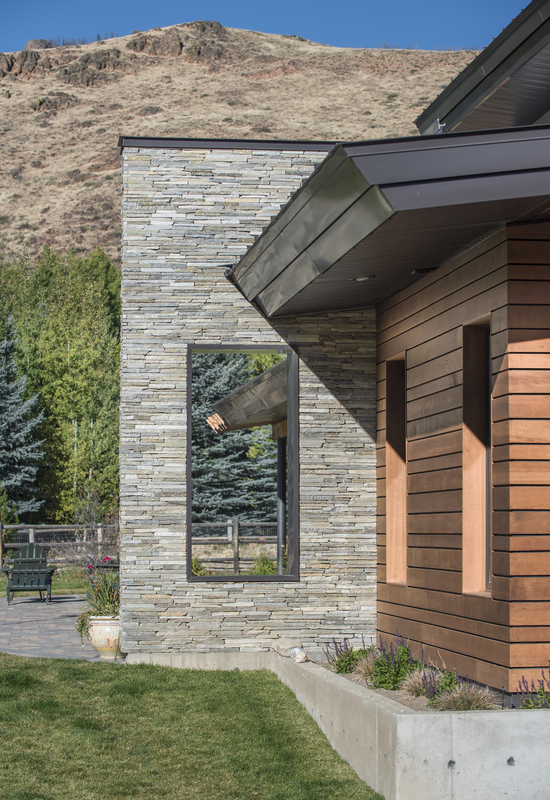 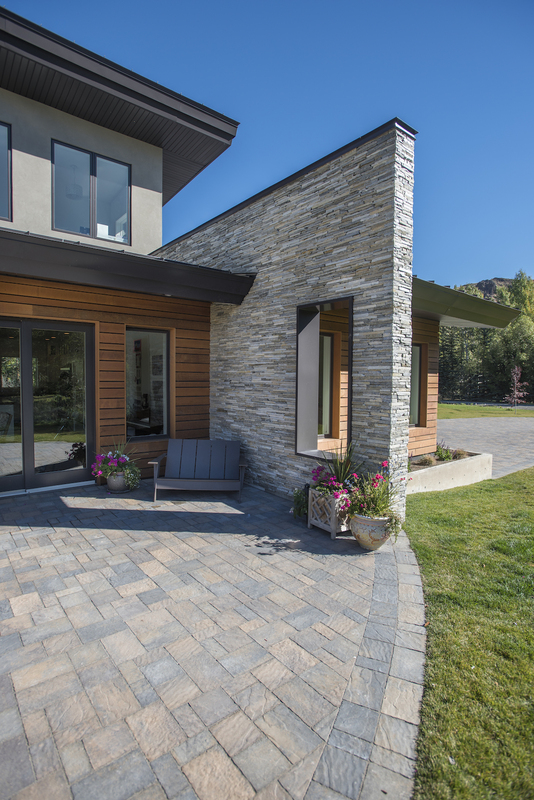 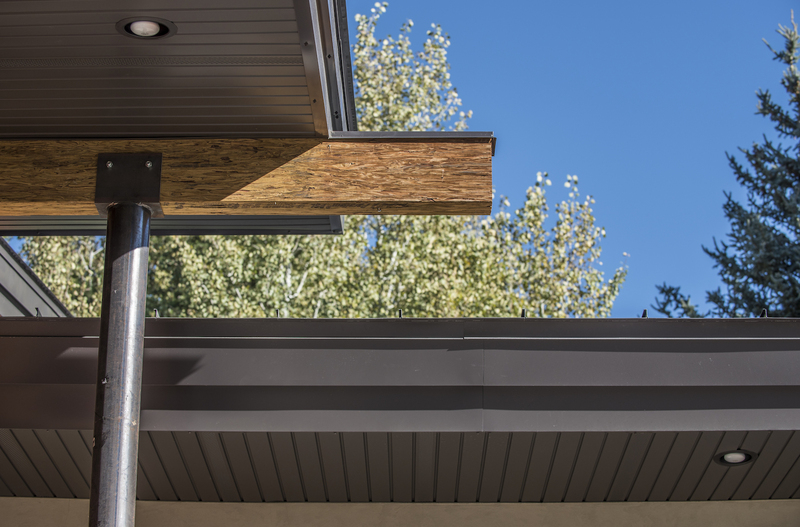 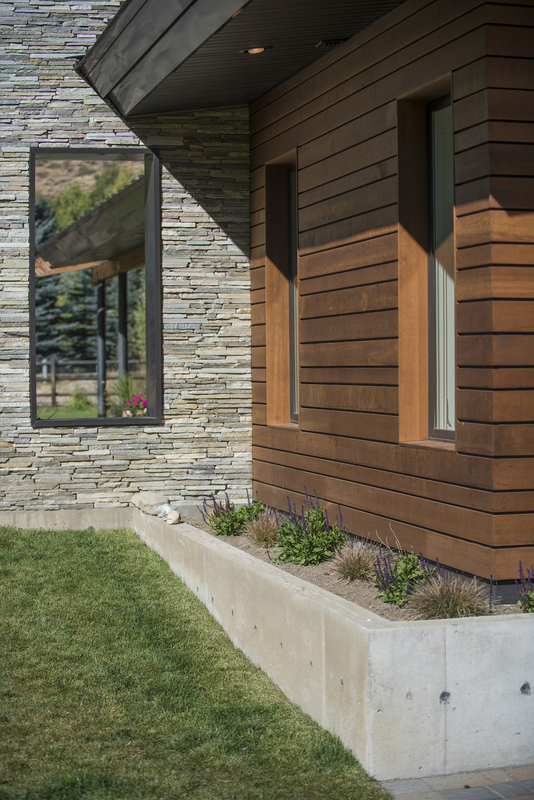 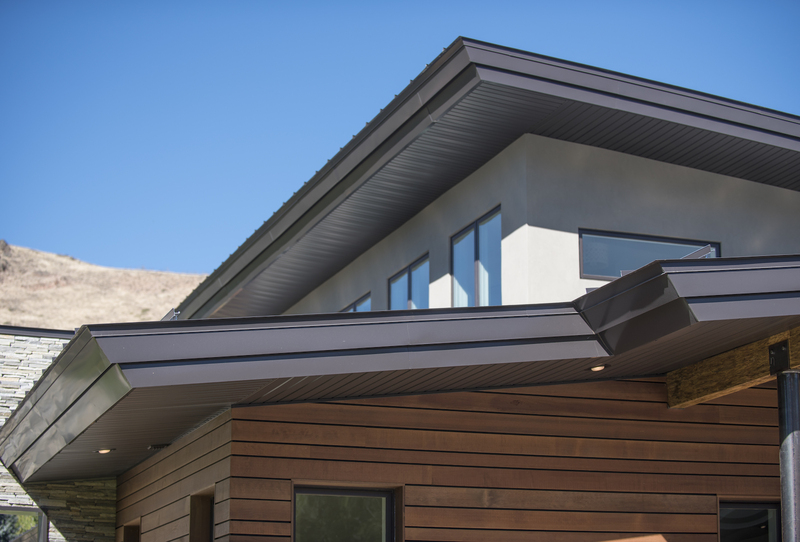 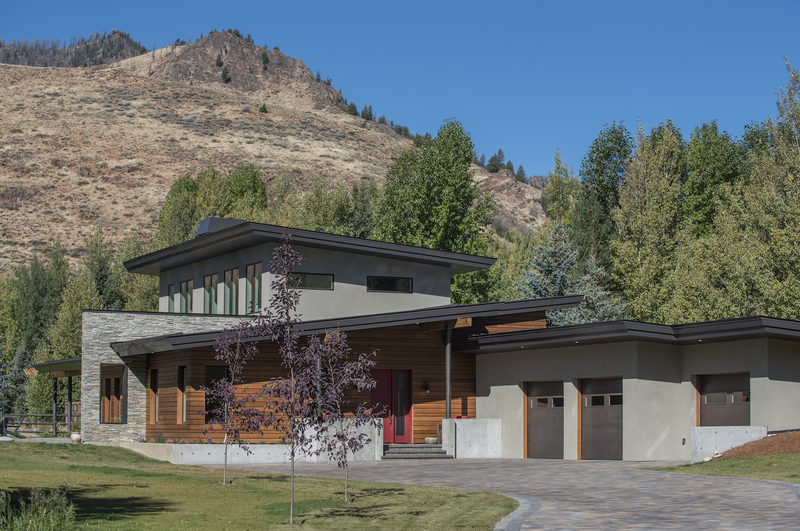 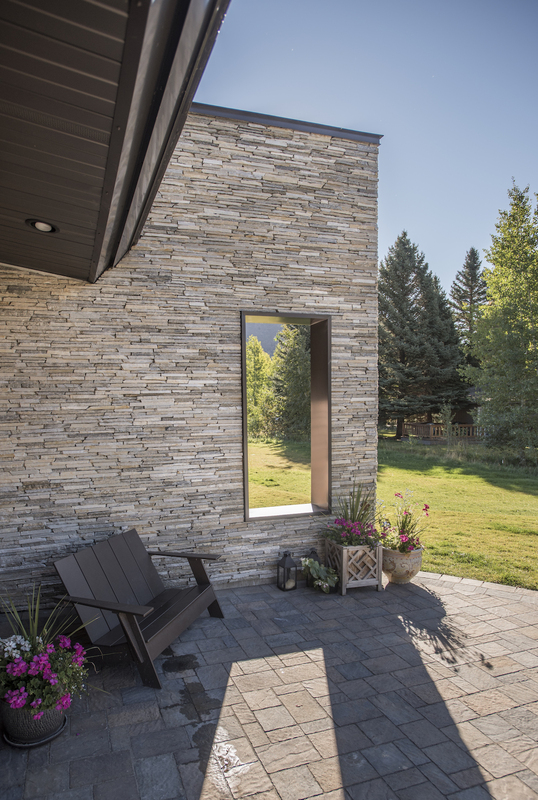 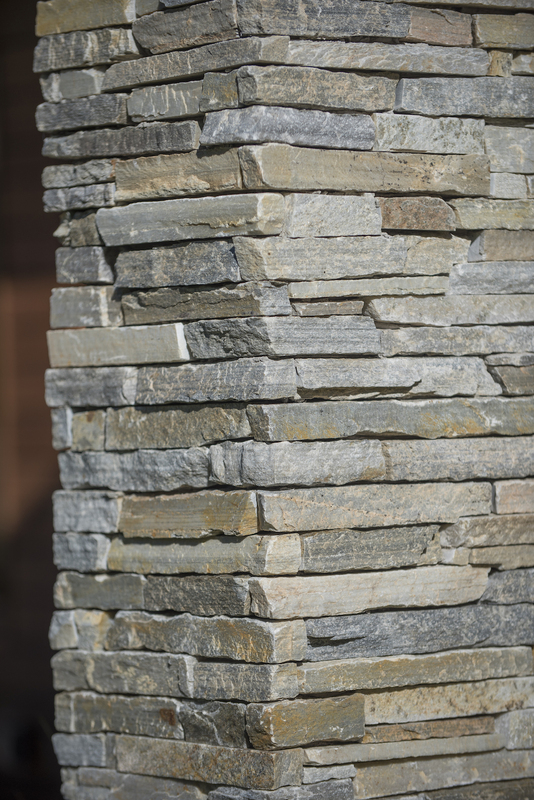 Mono pitch roofs, a bisecting stone wall with window portal, and a mix of exterior materials make this contemporary home a dynamic addition to the Sun Valley area. 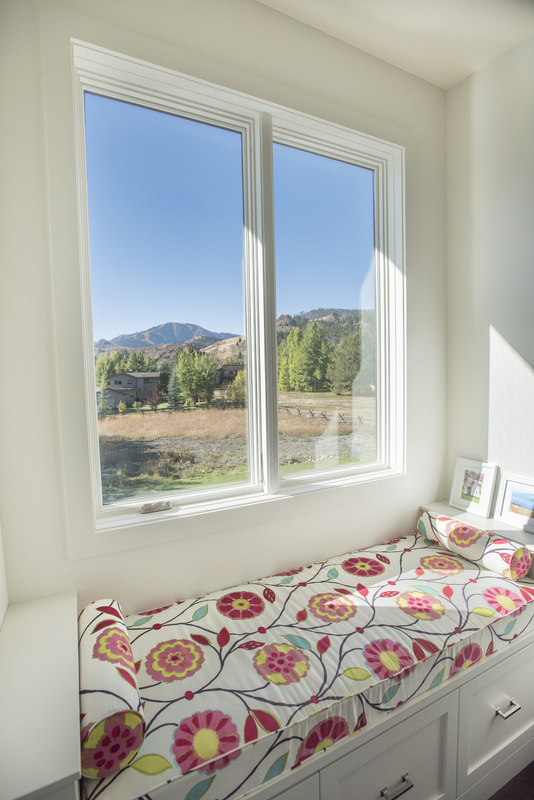 Views of Dollar Mountain are framed from the open floor plan windows and second floor bedrooms.